Isn’t it interesting what he considers of first importance? First of all, 1 Corinthians 15:3-8 really is a gospel. A gospel is a very unique type of statement. If you say, “Hey, I have a joke I’d like to tell you,” and then you instead proceed to recite a love poem, you may do a very good job reciting a love poem, but it’s important to note that you didn’t tell a joke. Gospel literally means “good news.” When a triumphant army headed home from battle, it would send a herald to run ahead and announce the good news (or gospel) of victory. The gospel is the victorious proclamation that Jesus has defeated the Evil One; that the kingdom of God has arrived in Jesus’ ministry, his sacrificial death, his resurrection, and his ascension to God’s right hand; and that we can begin to experience the kingdom’s blessings now even though we still await its fullness (pp. 44-45). 19Then Ahimaaz the son of Zadok said, “Let me run and carry news to the king that the LORD has delivered him from the hand of his enemies.” 20And Joab said to him, “You are not to carry news today. You may carry news another day, but today you shall carry no news, because the king’s son is dead.” 21Then Joab said to the Cushite, “Go, tell the king what you have seen.” The Cushite bowed before Joab, and ran. 22Then Ahimaaz the son of Zadok said again to Joab, “Come what may, let me also run after the Cushite.” And Joab said, “Why will you run, my son, seeing that you will have no reward for the news?” 23“Come what may,” he said, “I will run.” So he said to him, “Run.” Then Ahimaaz ran by the way of the plain, and outran the Cushite. 28Then Ahimaaz cried out to the king, “All is well.” And he bowed before the king with his face to the earth and said, “Blessed be the LORD your God, who has delivered up the men who raised their hand against my lord the king.” 29And the king said, “Is it well with the young man Absalom?” Ahimaaz answered, “When Joab sent the king’s servant, your servant, I saw a great commotion, but I do not know what it was.” 30And the king said, “Turn aside and stand here.” So he turned aside and stood still. Here’s a second point about the gospel: As you can see from the story in 2 Samuel, the gospel is not a statement about the recipient. It’s a statement about the victor in the battle. In the case of 1 Corinthians 15, that’s Jesus. That’s a big difference from most evangelistic approaches, which are often statements about us (like the Roman Road) or which begin with statements like, “In order to understand the good news, you first have to begin with the bad.” With the gospel, we always begin with Jesus. The gospel is the announcement of his triumph—nothing more, nothing less. Third, our response to the gospel is very important…but it isn’t a part of the gospel. Our response to the gospel is, well, our response to the gospel. That seems like a trivial point, but as we’ll see, it actually turns out to be quite significant. 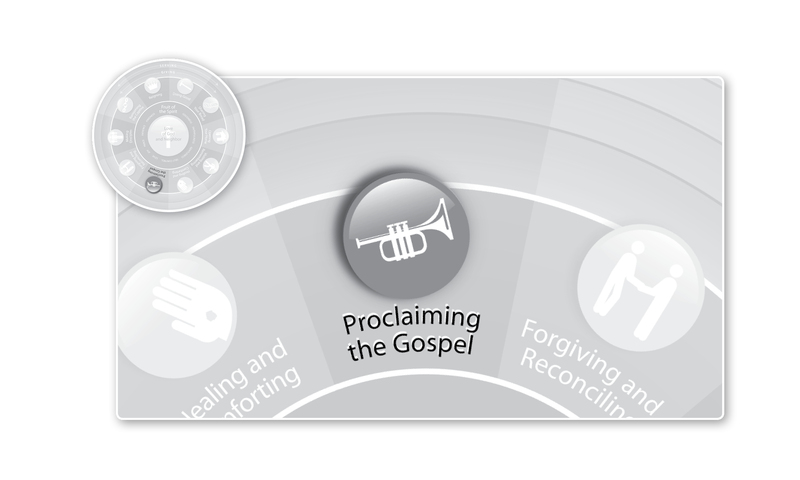 That’s because by God’s design, the response of the hearer to the gospel is actually the first step into discipleship…or the rejection of discipleship altogether.When it comes to the Christian life, there aren’t two steps—accepting Christ through the gospel and then accepting a subsequent offer of discipleship in a follow-up by the evangelist (like, “If you accepted Christ tonight, stop by our welcome center on the way out. We have a free gift for you.”). As Steve Schaefer notes in Living in the Overlap, “Jesus did not simply call people to accept a free gift called salvation; he also called them to embrace a costly lifestyle called discipleship” (p. 107). Or as Schaefer asks alternatively, “Is evangelism about getting people into heaven, or turning people into disciples?” (p. 109). When the gospel is proclaimed, the response of the hearer tells you a lot. A repentant hearer is easy to spot: Take a look at Acts 2, when after Peter preaches the gospel, the Jews listening to him say, “Brothers, what shall we do?” They are requesting to be taught; that is, discipled. In contrast, the stoning of Stephen in Acts 7, the “We will hear you again another day” of the Athenians in response to Paul in Acts 17, the “stand aside” of David in 2 Samuel—these are rejections of the gospel and thus tantamount to the spurning of discipleship. When the gospel is properly proclaimed, hearers respond either by saying, “Disciple me” or “Get out of my house”. There’s no “I’m happy to receive the free gift, now get out of my house” option! Fourth, there is that phrase, “according to the Scriptures,” which appears twice in Paul’s gospel proclamation in 1 Corinthians 15:3-8. It’s the only phrase that appears twice, in fact. The gospel is not Genesis 1-2-3-Romans (i.e., creation-fall-redemption); it encompasses the full scope of the Scripture, addressing every hope and every promise of God. Forgiveness of individual sin is no small part of that, but it’s not the whole of it, either. According to Schaefer’s count, it’s one of eighteen seemingly permanent features of the universe that were fundamentally altered by the life, death, and resurrection of Christ. And don’t miss the key point: His life, death, and resurrection and not our own are the organizing principle of Scripture and of the gospel. Think of it like an earthquake. An earthquake occurs along one fault line. But this earthquake occurred along eighteen fault lines simultaneously. When we ignore seventeen of those fault lines and focus only on the one—the forgiveness of individual sin—we give the hearer the wrong impression that everything else in the world has stayed the same except that. Which is why many people hear the gospel and even accept it but see no need for fundamental change in their lives. In fact, they are led to believe that their acceptance of the gospel should make living their present life more manageable and satisfying. The ground has shifted fundamentally in every way…but we not only forgot to tell them that; we failed to notice the other seventeen giant earthquakes ourselves. The main reason why is that we fail to notice how Christ first performed this Work of Mercy of proclaiming the gospel to us. It’s to that that we’ll turn our attention in our next post. This entry was posted in Uncategorized and tagged Christianity, Church, Discipleship, Evangelism, Gospel, Jesus, Proclaiming the Gospel, Whole Life Offering, Work of Mercy. Bookmark the permalink.